Insanely innovative ideas for school leadership and principals focused on people, culture, and impact. These 6 ways cost nothing. When used, they will empower your star teachers and solve the morale problem. Is the school climate a little off? Is teacher morale low? Is turnover a problem? In this episode you'll find: 1) How to Say Thanks 2) How to Treasure Hunt 3) Avoid Task Vacuums 4) Manage Your Own Fears 5) Manage Frameworks 6) Create a Culture of Success Consider leaving your thoughts or a question at mafost.com/pod Thanks to our sponsors: Anchor, Flipboard, and Broke for Free. There are 5 culture crafting strategies for school leaders in this episode: SGI Clarity Smash the But What Abouts Use Conditioning (Words Not Needed) Avoid Rubbernecking The Mafost Mashup is beginning a series of how-to episodes for principals and school leaders. This is the first, and you can keep up with the research and show notes at mafost.com/mashup Get the daily email at https://mafost.com/lead - innovative ideas to your inbox, three days per week. This is a mashup of season 1 focusing on Action, Finishing Strong, Empathy, and Impact on Learning. Topics include: Dynamic Teams for Culture Data Developing the Instructional Plan Using April and May to Finish Strong Empathy in School Leadership Situational Awareness Research on Staff Happiness Misuses of Data Impact on Learning Get the show notes at https://mafost.com/mashup The daily blog is delivered to your inbox 3 days per week, and it's focused on People, Culture, and Impact. Sign up at https://mafost.com/lead The Mafost Mashup is currently sponsored by Anchor, Flipboard, and TeamTom Education, LLC. You can also support this podcast by leaving a review, subscribing, or passing it along to a friend. In this bonus interview, Mel Hawkins shares his thoughts on erasing grade levels, competency-based learning, mastery teaching, and other outlier ideas to increase student learning. Connect with Mel on Twitter. Find show notes, research, and the daily blog at mafost.com. Plus, 15 ways to create change! The role of emotion in school leadership. Using the powerful leadership resonator. Insights from Daniel Goleman. And the power of this rarely-discussed intersection of emotion and clarity. Get the research and show notes at mafost.com/mashup Want to join the Weekly #822Chat? Visit 822tribe.com. In this interview, Dr. Bryan Pearlman and Matt discuss how to create a school culture that supports mental health and wellness. Topics include: - Helping students deal with trauma and self-harm. - Helping teachers with stress and anxiety. - Setting the health of a school on the right path. - Self-care for teachers. - Finding balance and avoiding burnout. Get the show notes at https://mafost.com/mashup Get in touch with Dr. Pearlman at his non-profit http://DSMHW.org or at his consulting company http://MostValuablePD.com. The school reflects your confidence and passion. Likewise, it mirrors your fear and insecurity. Embrace your weaknesses, build your strengths, and empower your people. Leading with vulnerability builds trust and creates organizational health. Here are three exercises you can use to shape culture, connect people, and impact learning. Leave your thoughts and questions at https://mafost.com/pod. Season 3 Premiere focuses on busting through the one thing that limits your people in your schools. Topics include: -- Organizational Health vs. School Culture -- The Key Ingredient to High Performing Teams -- Minimizing Politics -- Difference Between Trust and Confidence -- How to Lead With Vulnerability If you enjoy this episode, consider sharing it with one friend. Leave your comments or questions at https://mafost.com/pod Also, get the show notes and research behind the episodes at https://mafost.com/mashup. Season 3 is about people. It's about what's simpler but not easier. Addressing the health of a school is simpler than addressing the complex data, spreadsheets, tactics, and plans. Those things are complex, but they are also tangible and easy to see. They are the brains. But the health of the school is much more subjective and requires nuance and common sense mixed discipline to execute. School leaders who understand school health are poised to empower their people and reach levels of outlier success. A Mashup of Three Ideas: Not on the Job Description; Career Moves; The Mirror. These 3 concepts can place you in control of your career and make you indispensable in your organization. Sign up for the daily email at https://mafost.com Also read the transcript at https://mafost.com/not-on-the-job-description/ or on the monthly blog https://mafost.blog Copyright 2018, Matt Foster @mafost Educator, Creator, and Culture Shaper. Getting biggest impact on learning usually requires us to look beyond the quick fixes of visible and easy adjustments. Enter, overarching factors. Here's part 2 of the interview with one of Houston's foremost instructional coaches and curriculum directors on the topic of instructional coaching. Highlights include: - Coldplay's "Fix You" - Research on the lack of research - Multifinality as a guiding principle - Difficulty of being an instructional coach - Coaching conversation tips - Simple coaching prep - What really matters You can get episode notes, resources, and research at https://mafost.com/mashup If you enjoyed this episode, be sure to pass it along! Professional Learning Communities (PLCs) are more than mere lesson planning or book studies...they are a basic human need. In this episode, we sit with Dr. Coryn Prince school administrator and educational leader, whose recent doctoral research focused on features of successful PLCs. Topics include: - PLCs as a basic human need - Naturally-formed PLCs - The focus of effective PLCs - The role of a shared purpose - Trust and Safety - How to Build Trust - PLC as Family Get show notes and additional resources at https://mafost.com/mashup And subscribe to the 3 times per week blog at https://mafost.com. This episode of the Mafost Mashup, the premiere principal podcast, is about instruction coaching, and we have guest Kerry Flanagan sharing insights about successful instructional coaching. Topics include: -Dopamine -Lottery Tickets -Serotonin -Relationships & Trust -Successful Conversations -Challenging Coaching Conversations Instructional coaching is a tool that, over time, builds trust and acceptance. It builds serotonin and oxytocin, the key ingredients needed to remove the veil of emotions that cover the brains rational center, so strategic steps toward improvement can be made! Impacting Community, Mafost Mashup Season 2 Episode 1. 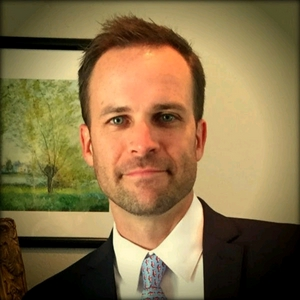 In this episode, Matt sits down with the innovative and insightful principal Matt Arend to discuss the impact he's had on the community at Sigler Nation (Sigler Elementary in Texas). Get the show notes at https://mafost.com/mashup. Connect with Matt Arend at: Website: http://matthewarend.com/ Twitter: https://twitter.com/matthew_arend ___ Topics include: - Making the Climb - Support (Danny Steele Quote) - Building a Culture of Family - Social/Emotional Needs of Students, Staff, and Families - Simple Ways to Make a Daily Impact - Balancing the tasks of the Principalship - Lessons Learned for New or Aspiring School Leaders * This episode includes a live interview from Orlando, FL in a less than optimum acoustic setting. Live from NAESP conference! Inspired by the energy, vision, and passion of a few principals and educational leaders whom I happened to bump into - this quick rant is about the fulcrum, leadership. Being the one for kids. Being the voice and difference maker! 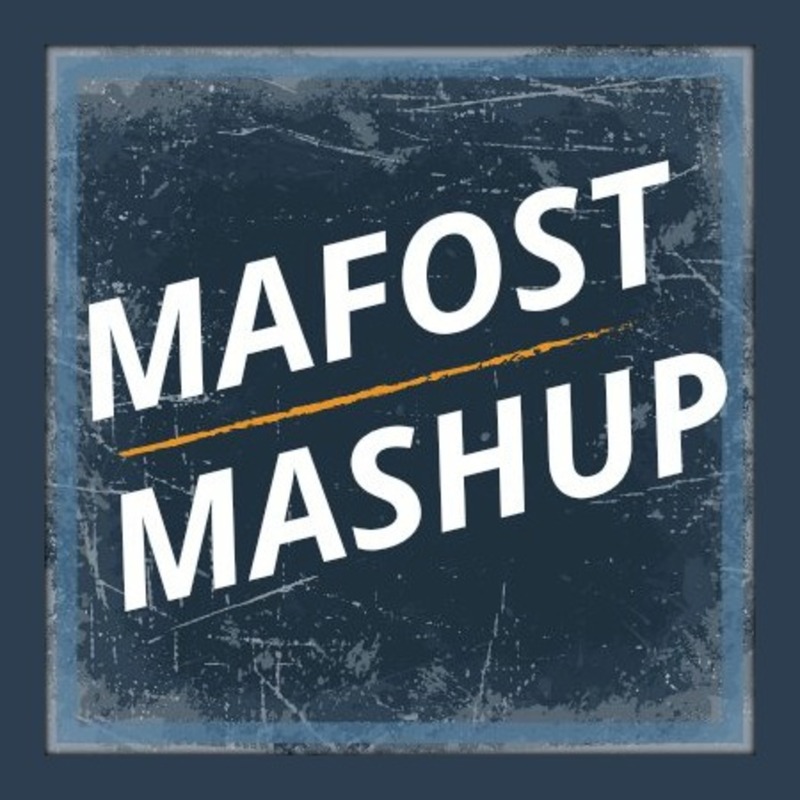 The Mafost Mashup is a podcast for principals and school leaders who seek to shape culture, connect people, and impact learning. High expectations for student success - this is the mantra of our generation, but what if we've got it out of balance? What if we've used high student expectations in ways that created blind spots for excuses? Episode 10 of the Mafost Mashup is a hard-hitting, fast-paced finale to season one including topics for principals and school leaders such as: - High Expectations for Students - Strange Thing About Water - Determination - Reform of No Excuse Schools - Overview of Top Research on Student Expectations - The Role of Educators - Expectations for Educational Professionals - Metrics of Impact - DNA of No Excuses - No Excuses in Education Get show notes (research, charts, and examples) at https://mafost.com/mashup This is the podcast for principals and school leaders who want to be challenged with insanely innovative ideas on school Culture, People, and Impact. The Mafost Mashup is a podcast for principals and school leadership. In Episode 8: Clarity and Toxicity, Matt sits with Hal Bowman and discusses real-life experiences with school cultures, including: -Shaping School Culture vs. Letting It Happen -Creating a Tribe -Bringing Clarity to the School Vision and Purpose -Uncertainty and Toxic Cultures that Result -The anxiety of the Unknown -Finding the Right Fit -Unintentional Culture Viruses -Communicating with Clarity Principals, instructional coaches, and educational leaders will receive helpful insights into why toxic cultures form and how to turn them around. A podcast for principals and school leaders - Episode 7 of the Mafost Mashup tackles 5 insanely innovative ways to improve communication in your school. This episode starts with the Effective Schools Research, discusses a major gap in the effective school correlates, and addresses a powerful analogy to increase the effectiveness of your school culture. Episode 6 of the Mafost Mashup is loaded with practical applications for principals and school leaders who wish to build a leadership strategy using Empathy. Five characteristics of empathy are discussed in detail, including these topics: -Situational Awareness -Predicting Pitfalls -Tribes -Circles of Trust -Below-the-surface Issues -Seeking to Understand -Humility -Conversations -Authenticity -Authentic Leadership Gone Wrong -Research from "The Leadership Quarterly" -Self-Awareness -Unbiased Processing -Relational Authenticity -Well-Being -Fearless Empathy -6 Mindsets to Kill Fear of Failure -What Empathy is Not This is the must-listen episode for all school leaders, principals, and teacher leaders striving to lead learning and improve schools! The only thing that makes or breaks a campus is people. Here are a few ways to strengthen the connections with the people on your campus, to lead learning, and to improve schools. For principals, school leadership, and teacher leaders. How do we cultivate meaningful work in our schools? For teachers, leaders, and students. This episode tackles several topics related to meaningful work: -Workplace Envy -Absorption -Play -Research from Jeffrey Springer -Flow -Creating Meaningful Work -Quote from Alfred North Whitehead Schools that cultivate meaningful work will tap into the creativity and innovative spirit of their people. Students will experience learning that can be applied in their lives. Teams will have extreme engagement. Let's get insanely innovative this summer and buy a lot of pizza! Create 3, 4, or 5 different student panels. Buy lots of pizza and watch amazing things happen for your school! Learn more in this 60 second bonus segment. Pitfalls of hype. Surveying Campus Culture. What's Coming? Interviews from counselors, principals, and business leaders. Vision for the next few decades. Is buy-in a necessary component for school improvement? Or is it a detriment? What is your school's attention span? How do you garner commitment to long-term improvement efforts? What is the long game? Episode 1 tackles these questions and more. The Mafost Mashup is for principals and school leaders who value people, build school culture and make a measurable impact. This is insanely innovative - not for everyone! #education #edleaders #edleadership Subscribe to the blog at https://mafost.com and gain access to free online courses for school improvement! How many walk-throughs do teachers feel they need? I asked, and this is what I found. This is a sneak peek into the coming podcast for school leaders, instructional leaders, and anyone interested in school improvement. Starting May 1st.